Introduction of our new staff! Lots of Rencho and Surencho have been caught. Shimagarei was ranked 20th. 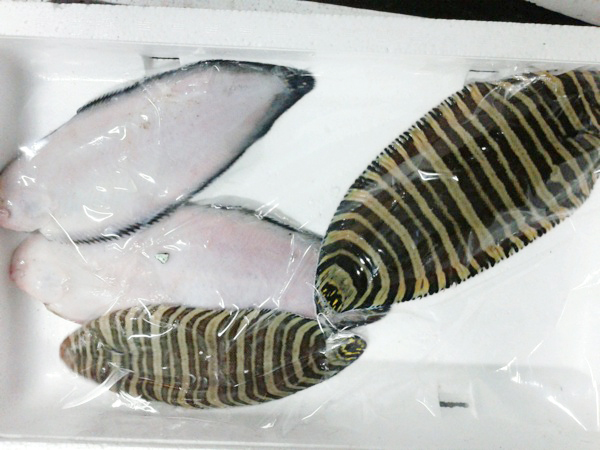 Shimagarei is called Shimaumanoshita and it lookes like Surencho with a zebra patterned, slimy skin. The taste of Shimagarei might be inferior compared to Surencho’s, but it’s good when cooked and is less expensive.